Our premier location on the Charles River offers extraordinary and unique views of the Boston and Cambridge skylines. 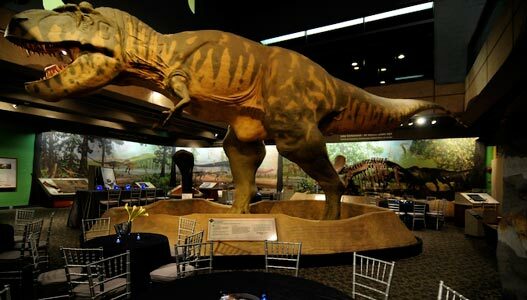 From professional meetings to whimsical celebrations, the Museum of Science is the perfect host! Available amenities include WiFi, audiovisual equipment, on-site staff, and a 294-seat theater. Ask about our daytime meeting package. 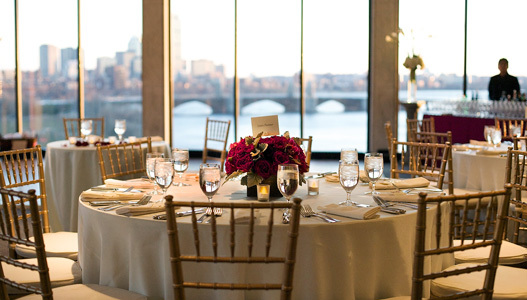 As the only event setting located directly on the Charles River, it's no wonder the Museum of Science was voted best reception venue by Improper Bostonian. Sip on champagne and dance under the stars both indoors and out! 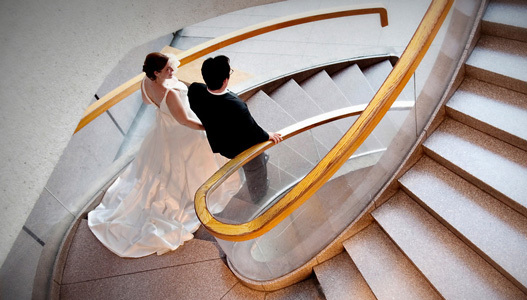 Check out what special options we have to offer winter weddings. Whether you're celebrating a 25th anniversary, a bar or bat mitzvah, a 40th birthday party, or just because... the Museum of Science and Wolfgang Puck Catering will make your event extraordinary. As the most highly attended cultural institution in New England, the Museum of Science offers novel surroundings and out-of-the-ordinary experiences that are sure to intrigue and entertain guests of all ages. In partnership with Wolfgang Puck Catering, we are committed to crafting an event that delights your palate and stimulates your senses.